Enjoy a little Egnog this Christmas with Loki! Thus opens a blog post from the Chief Digital Mischief Maker (all in the best possible fun, of course!) Loki Eliot. 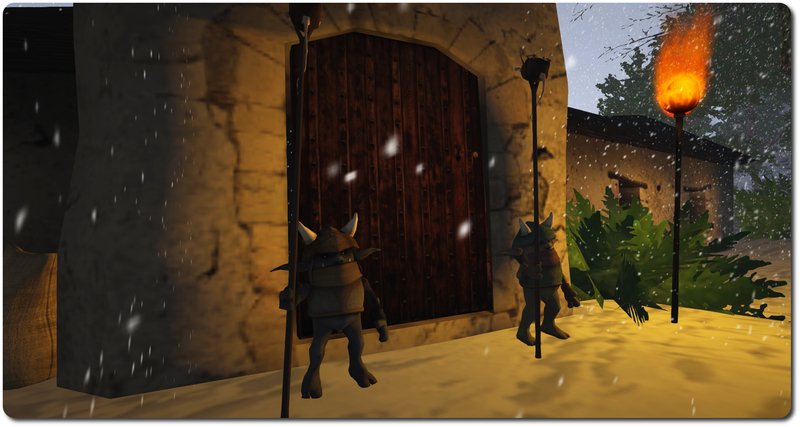 The post introduces Loki’s latest experiment with the Lab’s new Experience Tools / Keys, which in turn offers people a little light-hearted fun over the holiday break. It’s called Egnog the Winter Troll. As Trolls go, Egnog isn’t that awful. During the festive season, for those who come to his winter grotto via the magic portal, he’s prone to giving gifts. And this is where you come in. The portal must be opened each year by the Winter Engineer, using a magical fob watch. Unfortunately, the four crystals that power the watch have been taken and hidden around the island, each one with a clue to the whereabouts of the next, and the first clue left with the Winter Engineer. All you have to do, is riddle the clues and find the crystals. When you have all four, the portal will be open, and Egnog will reward your efforts. Or quite possibly dine on you (yes, that’s on not with – he is a troll, remember! ), depending on his mood! As already noted, this is a light-hearted quest, so don’t expect anything too heavy or convoluted, just a little bit of gentle fun to while away 10 minutes while you let your Christmas dinner settle. Game play is simple enough. 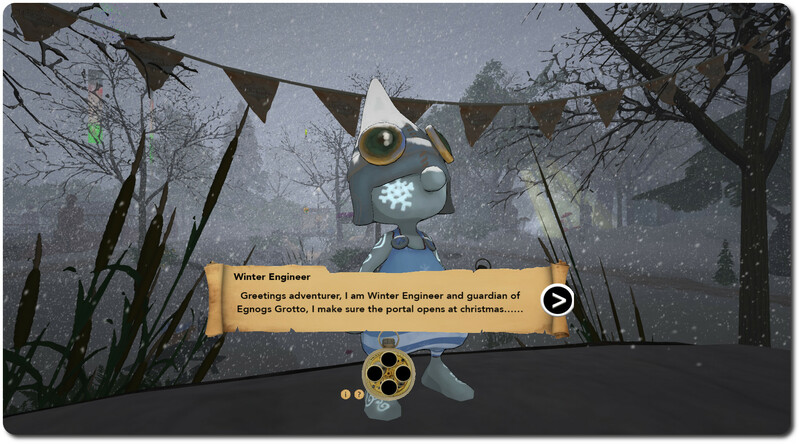 Find the Winter Engineer and touch him; by return you’ll receive a HUD that will explain the game, track how many crystals you’ve recovered, provide you with each clue in turn and, ultimately, take you to Egnog. Because the quest uses Experience Tools commands, the HUD will control everything (other than you actually locating the crystals). No permissions are requested (such as to transport you to Egnog on finding the last crystal), because you gave permission when you joined; thus everything is seamless. However, should you detach the HUD or leave the region, all permissions are revoked and the HUD will detach. If that happens before you complete the quest, nothing is saved, and you’ll have to start over with the Winter Engineer. And as to your rewards from Egnog? 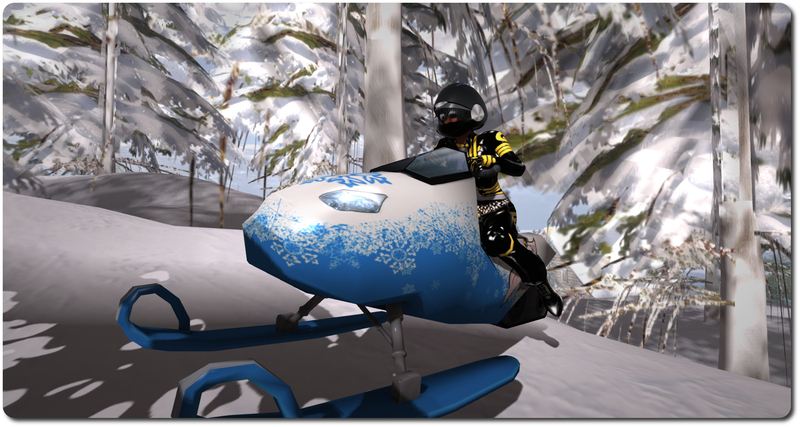 They’re actually quite spiffy; one in particular comes in handy on snowy days – and also makes a passably good jet ski (as I found out when I totally missed the bridge on a region crossing in Second Norway!). 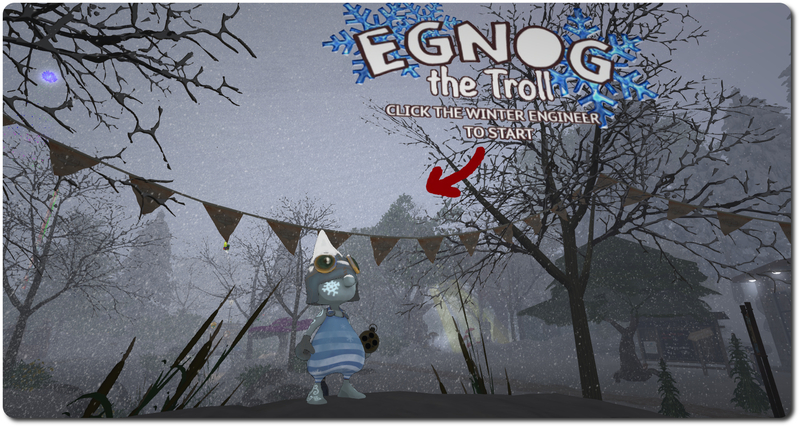 Egnog the Winter Troll will be open through to the New Year, so if you have 10 minutes to spare, why not give it a go. If you do, be sure to enjoy the rest of Escapades in it’s winter wonder – there’s a lot to do (including another Experience Tools game). And please do show a little Yuletide spirit and offer a donation to help keep the island open! It’s fun and there are cute prizes all around the island. I’m surprised that it isn’t plenty of people over there.